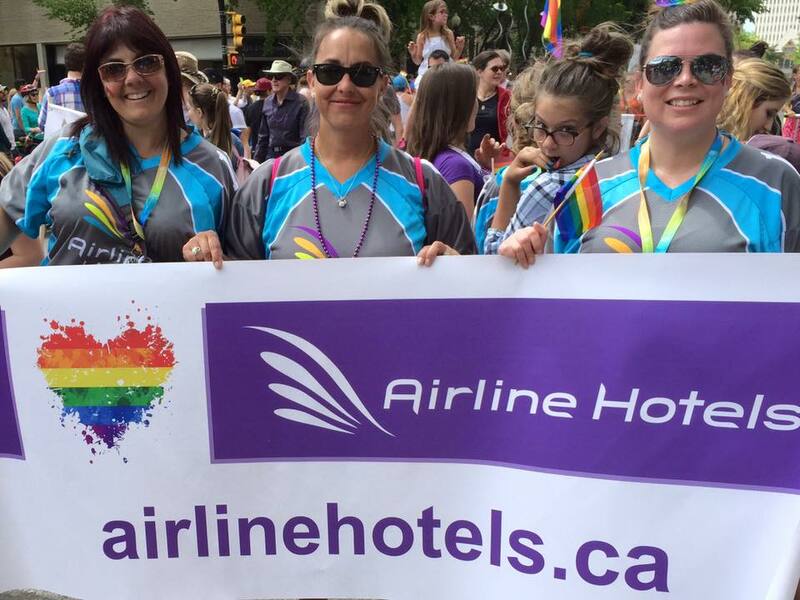 Airline Hotels has been proud to support the LGBTQ+ community in Saskatoon, a partnership lead largely by Regional Sales Manager Shikara Dyck. She has work closely with the various organizations that comprise the LGBTQ+ community and has greatly strengthened our partnership over the last 3 years. 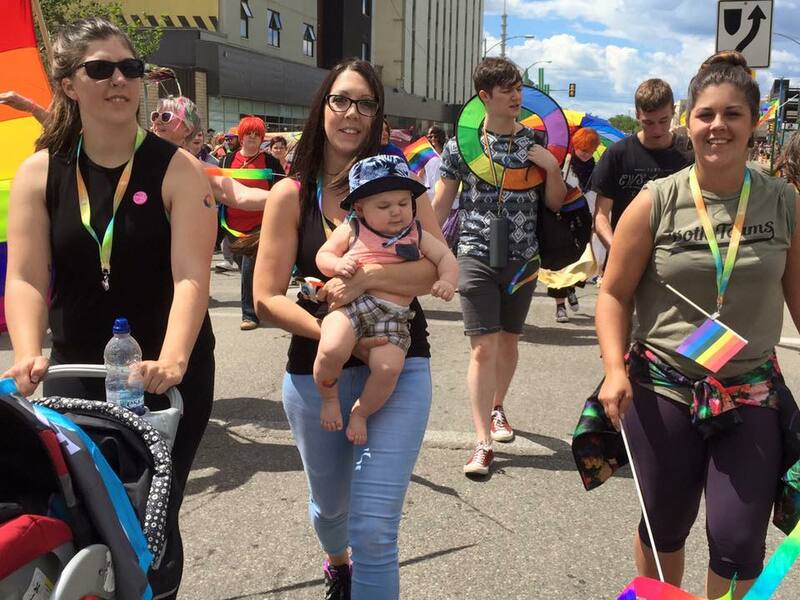 Since 2015, our regional sales & catering team received Diversity Training from OUTSaskatoon, as our team recognized that this area in our community is an area we needed to grow starting with our first Pride event in June of that year. Hilton Garden Inn has been the host hotel for the past 3 consecutive years of the Live in Colour Art & Fashion Show, Detox Pool Party and home to the Judges Corner for the Pride Parade. 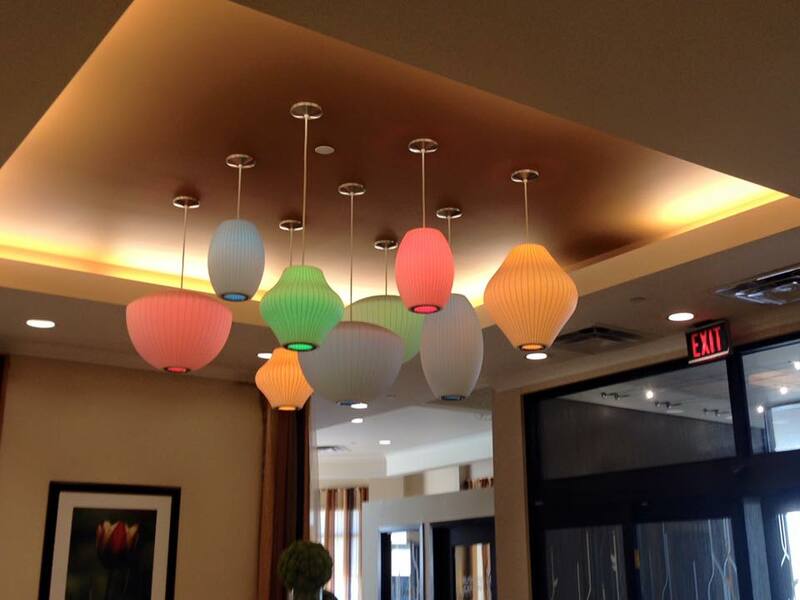 During Pride Week, associates decorate the lobby with rainbow lighting, Pride flags and banners, as well as offer a gender neutral washroom on the main floor of the hotel. Our associates wear ALLY/PRIDE pins and lanyards to further demonstrate our support. The most-anticipated event of the festival is the Pride Parade, which was held on June 24. This year, the Pride Parade was a record breaker. Not only was it the 25th anniversary of Pride, it was also the largest Pride Parade to date. 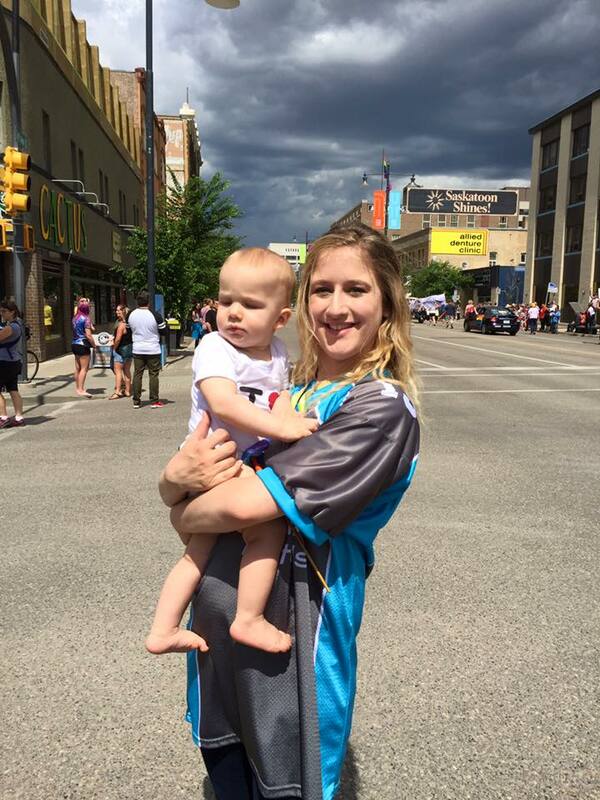 With over 5,000 entries into the parade and over 5,000 spectators lining the streets of Saskatoon, the Hilton Garden Inn was at the hub of all the action. The corner of 22nd Street and First Avenue is where the judges were announcing the groups as they walked by. We had a blast and we as a team are looking forward to years to come. Airline Hotels head office and the team at HGI has been through Diversity Training, allowing us to bridge the gap in the community for our guests, associates and members of the community. With the training, HGI has now been named an LGBTQ+ safe friendly business and we proudly display our sticker in the window for all to see. Growing even further with LGBTQ+ community, HGI applied for the TAG Approved status and was awarded this status in 2016. TAG Approved lists the hotel on their website as a Safe Friendly business worldwide. The HGI is the only hotel in Saskatoon and in Saskatchewan that is TAG Approved. With the growth and support of our Local Saskatoon Pride, the HGI with the assistance of Danny Papadatos (Chair of Saskatoon Pride) and TCU Place we form a new partnership in hopes of securing InterPride Conference for 2018. This bid was successfully signed and confirmed for our hotel as HOST hotel to the world’s Pride Community. Regional Director of Sales & Catering Tammy, along with Regional Sales Managers Alana and Shikara were on hand to show their support. Guest Service Agent Sierra showed up with her little one to show their Pride. Housekeeping Supervisor Renee marched with friends to show their support.